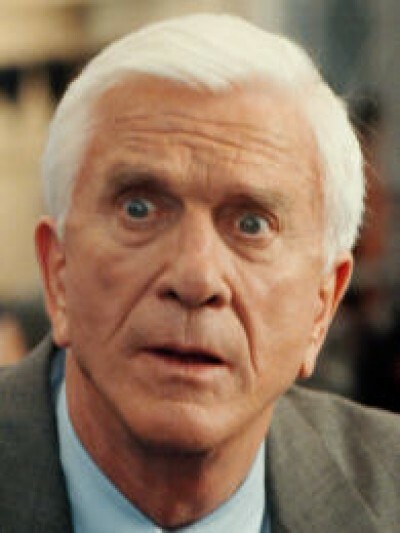 Leslie Nielsen died on Sunday, at age 84. Surely he'll be best remembered for his memorable role on "Airplane!," and as Lt. Frank Drebin in the "Naked Gun" movies ("Hey, look -- it's Enrico Pallazzo! "), don't you think? I especially loved him in the short-lived, six-episode 1982 series "Police Squad," which set the stage for the three "Naked Gun" flicks. Not many actors can reinvent themselves from Serious Actor to agile comedian the way Nielsen did. Sure, the humor was broad and muggy, but man, Nielsen did it up right. R.I.P., Mr. Nielsen. And no, we won't call you Shirley.